Gul Ahmed has back with its exclusive Festive collection 2015-16 under different categories for Eid-Ul-Fitr 2015. Here in this post I am sharing some exclusive embroidered eid festive dresses 2015 from Chantilly de chiffon festive eid collection 2015 by Gul Ahmed. 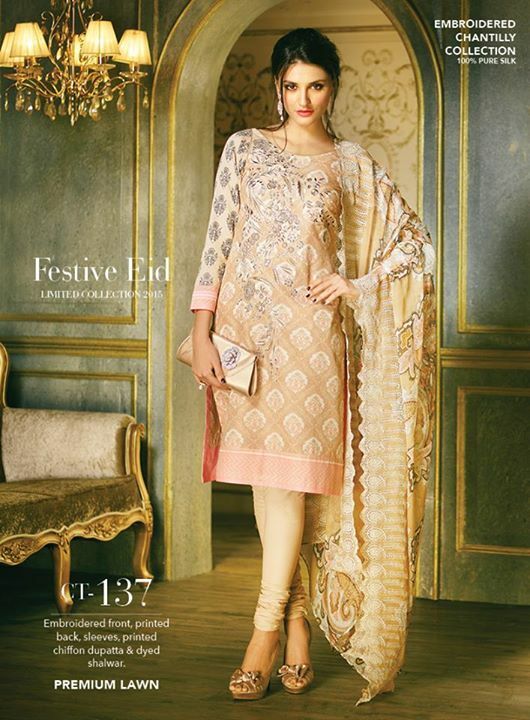 You can purchase Gul Ahmed festive eid dresses 2015 online and can get from leading stores also. Chantilly De Chiffon festive eid collection 2015 by Gul Ahmed featuring embroidered chiffon, lawn, pure silk, jacquard net dresses for women. Chantilly de chiffon Festive eid suits 2015 by Gul Ahmed are set with magnificently embroidered chiffon dupattas and dyed shalwars. Satin laces, embroidered laces, embroidered bunches, jacquard laces and many more articles are attach with Chantilly de chiffon festive eid dresses 2015 for women by Gul Ahmed. Unstitched suits prices of Chantilly de chiffon festive eid collection 2015 by Gul Ahmed are 9000, 7000, 6500, 6000, 5500 PKR. 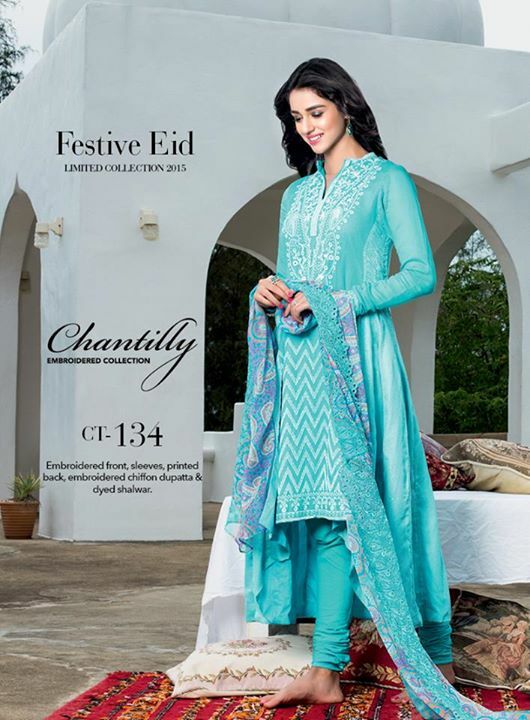 Make your eid day the most marvelous one with Gul Ahmed Chantilly de chiffon festive eid dresses 2015. 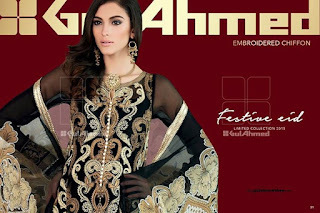 Let, see embroidered festive eid dresses 2015 by Gul Ahmed.